When talking about 2000 series aluminum, 2024 aluminum must be the first alloy that comes into our mind. Aluminum sheet 2024 is a typical hard aluminum alloy in aluminum-copper-magnesium system. Its composition is reasonable and overall performance is good. Many countries produce this alloy, which is the most used alloy in hard aluminum. Aluminum sheet 2024 has many characteristics: high strength, a certain degree of heat resistance, can be used as working parts below 150 ℃. When the temperature is higher than 125 ℃, the strength of 2024 alloy is higher than that of 7075 aluminum alloy. The formability of annealing and quenched state are better, the heat treatment enhance effect is significant, but the heat treatment process requires are strict, the corrosion resistance is poor, but with pure aluminum coating can be effectively protected. 2024 aluminum sheet is easy to crack when welding, but special craft can complete the welding, also can rivet. 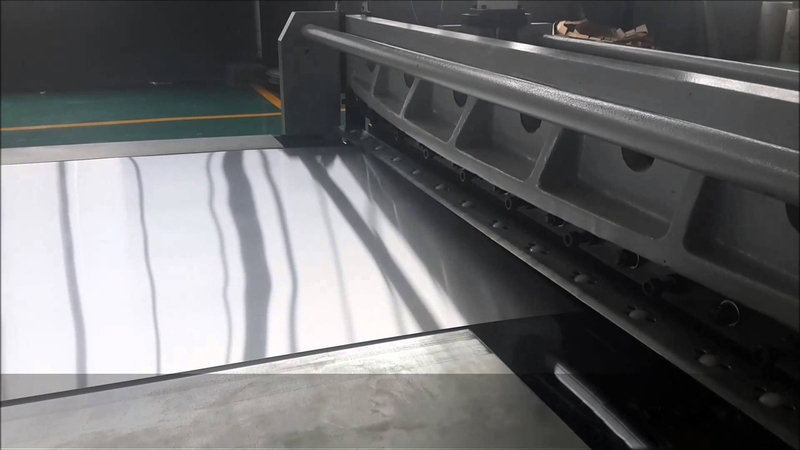 2024 aluminum sheet belongs to the high-strength aluminum, the heat treatment can be strengthened, spot welding is good, the corrosion resistance is not high, often using anodizing and painting methods on the surface to improve its anti-corrosion ability. 2024 aluminum sheet is mainly used for a variety of high-load parts and components (excluding stampings forgings). such as the aircraft structures (skin, skeleton, rib, bulkhead, etc. ), rivets, missile components, truck wheels, propeller components and various other structural components. The chemical composition of 2024 aluminum sheet is : Silicon: 0.5%, Iron: 0.5%, Copper: 3.8-4.9%, Manganese: 0.3-0.9%, Magnesium: 1.2-1.8%, Chromium: 0.10%, Nickel: Zinc: 0.25%, Titanium: 0.15% Others: 0.15%.